AliMed® Original Heel-Free features a new puncture-resistant nylon-supported vinyl construction that resist leaks and tears. Supple and silky to the touch. 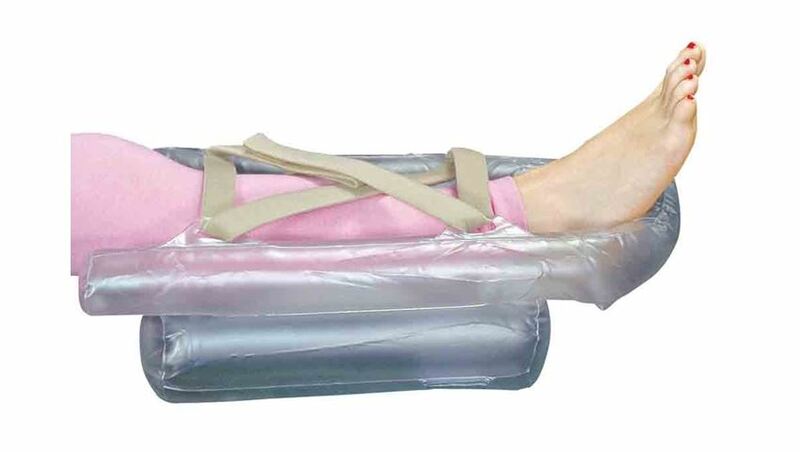 Suspends heel to avoid all pressure and to ensure maximum access and aeration for draining ulcers. 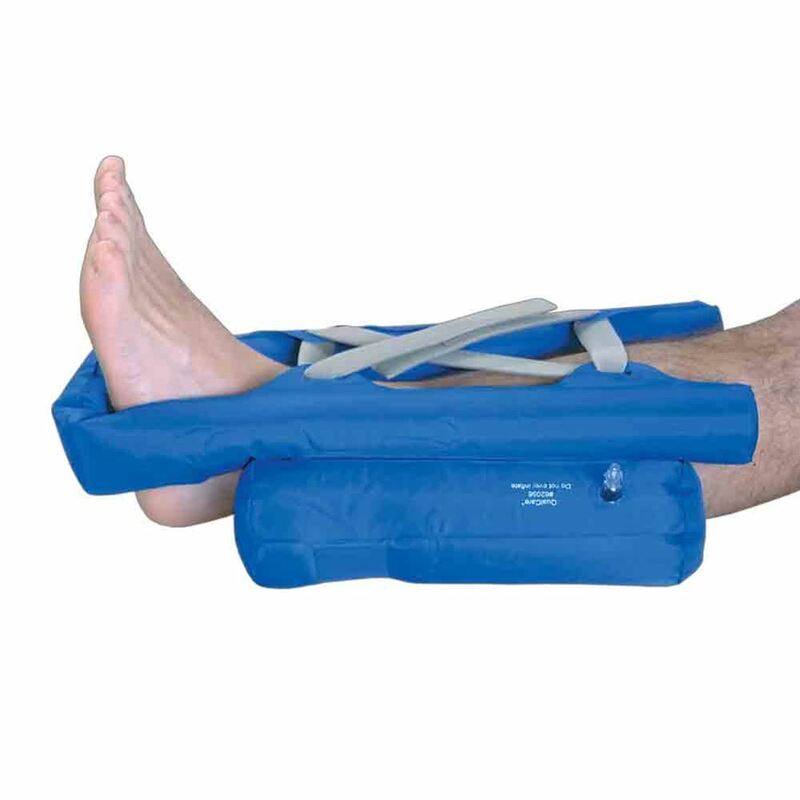 Foot is supported by the plantar holding bar, reducing risk of footdrop. 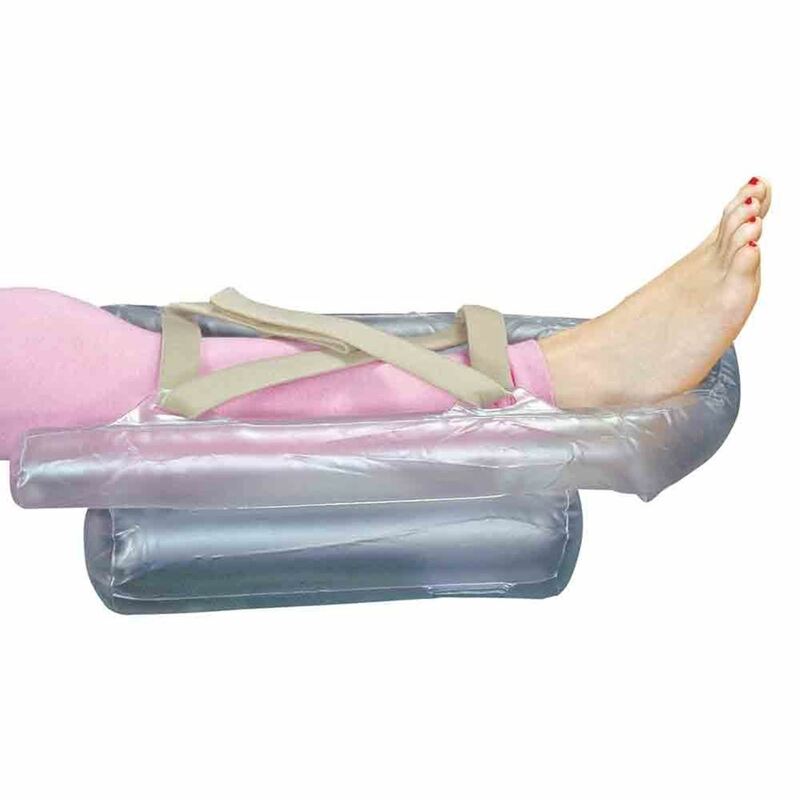 Nearly the entire length of lower leg is supported, avoiding pressure that could constrict arterial or venous blood flow. Soft Beta Pile II straps and cotton sleeve included. New sanitary dual-inflation system allows for quick initial inflation either by mouth or with optional foot pump. 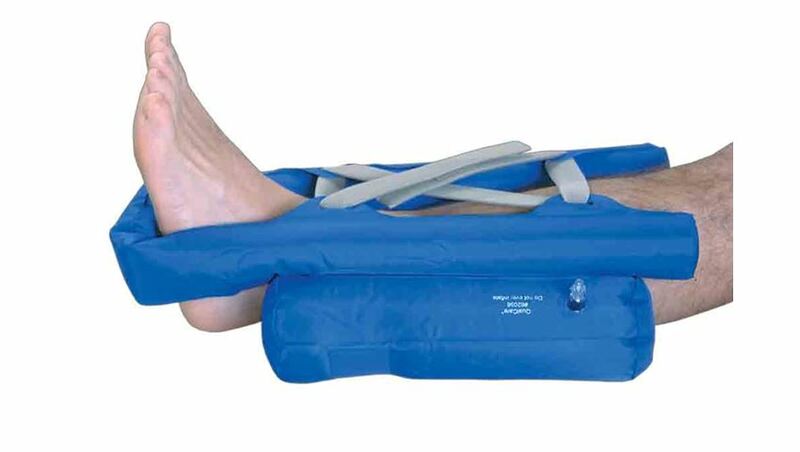 AliMed® Deluxe Heel-Free has all of the same features as the Original Heel-Free but with extra-durable vinyl and includes a hand bulb for the adjustments.